March 22 marks the one year anniversary since I have started my blog. That's a good opportunity to revisit the experience and share it via a blog post (of course). Why did I start a blog? Not a simple answer really. Yes, I’ve had some vague idea about my thought leadership mojo. Also, being in marketing, I have this inherent urge to share my opinions with the world and a blog is a good outlet for that. But mostly, I wanted to lead by example and motivate others around me to join in. That strategy is working today as more and more of my co-workers are joining in. I am not the first OpenText blogger, not the most read one and certainly not the most prominent one. But I am the one willing to contribute and to make any mistakes to help pave the way for others. 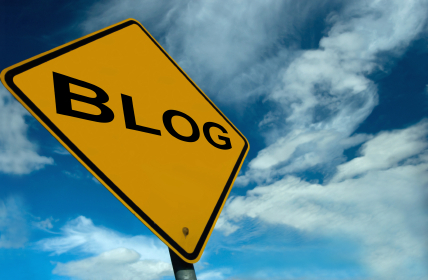 I knew that to make a blog successful, I would have to blog regularly. I see a lot of bloggers who write a post once every two or three months and while that is still a blog, I wanted to do something more active. I was resolved to write at least one post each week. I have ended up writing 68 posts in the 52 weeks - well ahead of my goal. My biggest concern was finding enough topics to write about. I was worried that I’d just be sitting there, 7 days since the last post without any idea what to write about. What an agony! But in reality, the ideas have never been an issue. They are popping up every day and I have several blog posts started at most times. One of the questions every blogger needs to answer is the scope and focus of the blog. The name of the blog ought to reflect that. I knew I wanted to keep my blog fairly broad because that's what my interests are. There are some bloggers who can be interesting writing about the impact of social media on the enterprise every week but that wasn’t particularly appealing to me. Instead, I wanted a fairly broad set of topics that interest me. They are of course all focused on technology and my topics usually fall into one of my key areas of interest - content management, mobility, social media, security and lately also copyrights. Another issue was whether or not to write about my job and my employer. That was not my original intent. In fact, I have initially tried to keep some distance and even today I don’t syndicate my blog through OpenText’s web site, I still like the idea of being independent. I have, however, broken this self-imposed rule with the G20 Summit report which immediately became my most successful post at the time. Since then, I am selectively covering other major milestones such as major product launches and acquisitions. They scored all very well - among the top 10 most read posts, five are on OpenText related topics. I am trying hard the to keep the OpenText coverage personal by adding some insight. That’s not always easy since I am often the guy who’s behind the messaging that you see in press releases and other communication. But I’m doing my best. My post What Was Not In the Press Release about the ECM Suite 2010 launch was a huge hit and I was really able to say many things we wouldn’t normally say in the release. Nothing is more disheartening than a great post that I have worked on for a couple of weeks with dismal results. Promoting my blog posts is a challenge though. I mostly rely on Twitter, forcing myself not to tweet about a particular post more than 2-3 times to avoid being a turn-off. I have experimented with all sorts of times of the week and times of the day but best appear to be posts at the beginning of the week with the first tweet early in the morning. I am syndicating my tweets automatically to LinkedIn which generates a decent volume of traffic and I am also posting my blog post links on Facebook with more modest results. I have experimented with Xing, Reddit, and other sources of traffic but the results were dismal. Finally, I post the links to my blog posts on our internal social network based on OpenText Pulse which does generate some percentage of traffic, particularly for OpenText related topics. Looking back after one year, my blog has been visited by visitors from 80 countries and even though I know that some were better than others, I am proud of pretty much every single article I’ve posted. Several articles received many comments either directly on the blog or per Twitter and Facebook. I am also proud of those articles that got quoted by other blogs or publications. And I am very excited when journalists or industry analysts mention that they read something on my blog. Interestingly, my blog has received some degree of notoriety inside of OpenText. Many of my co-workers read it and the posts featuring some of them have made certain internal splash (e.g. Yes, They Could Be Models or Mobile Device as a Primary Interface). Several of our senior executives mentioned that they read my blog and a few of them even said they enjoy it. I got a tad nervous when independently our CFO, CMO, and our head of HR all mentioned my blog. But so far, I have not been called into anyone's office because of a blog post. Finally, having written a blog post on a particular subject makes me much better prepared and more articulate when discussing the subject with others - whether that's customers, journalists, analysts, or co-workers. I have never anticipated this benefit but I often refer to my recent blog posts when talking to others - sometimes directly but mostly just in my mind. And so I guess I’ll just keep on blogging. 8. To SaaS or Not To SaaS? Nice review of the 12 months of live of your blog. I found your blog by looking in Twitter for #opentext. Which other blogs about opentext / vignette do you recommend ? Who Will Own Enterprise Social Media?